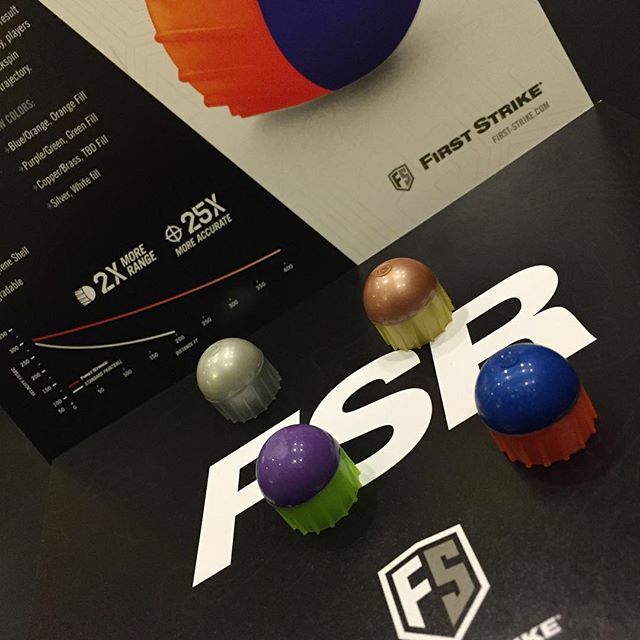 First Strike is showing off some colored First Strike paintball at Paintball Extravaganza. The Idea behind the color combo is to make the ball less visible to opponents while making the ball more visible to the shooter. The dark front makes the ball hard to see and the bright back its the ball easy visually pick up.